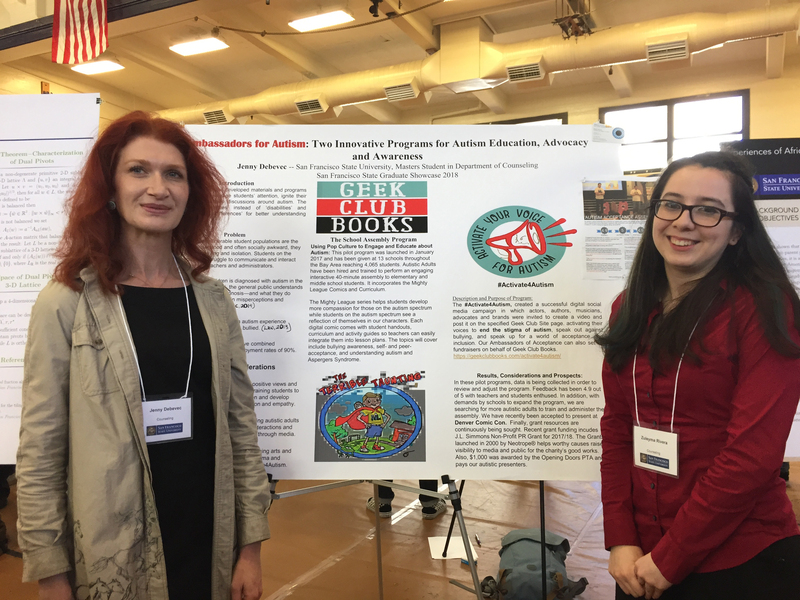 Zuleyma Rivera and Jenny Debevec are pictured in front of Jenny’s poster at the 2018 Graduate Showcase. Zuleyma’s poster was titled: “Unaccompanied Immigrant Minors in the United States: Counseling Implications in the Schools” and she was mentored by Dr. Graciela Orozco. Jenny’s poster was titled “Ambassadors for Autism: Two Innovative Programs for Autism Education, Advocacy, and Awareness” and her mentor was Patricia Van Velsor.